G’day, mate! Today we honor Australian artists as we gear up for Australia Day on Saturday, January 26. 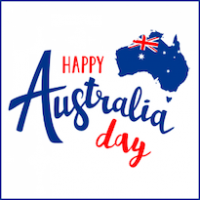 Celebrate the diversity this country has brought us from artists such as INXS, Kylie Minogue, Sia, AC/DC, Men Down Under, and my personal favorite, The Temper Trap. We’ve also included some fun facts to quiz your class on while teaching this profile. Hi Jennifer…um pretty sure Dire Straits are from UK not Australia…trust me we would claim them but it’s not true. ha ha! Thanks so much Trudy! Goodness…I have always thought they were Australian!